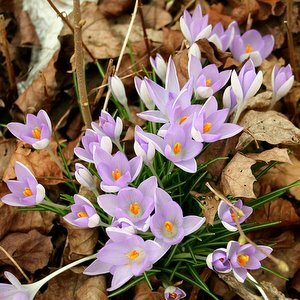 Growing Crocus Bulbs adds great color to your garden in the spring and fall. 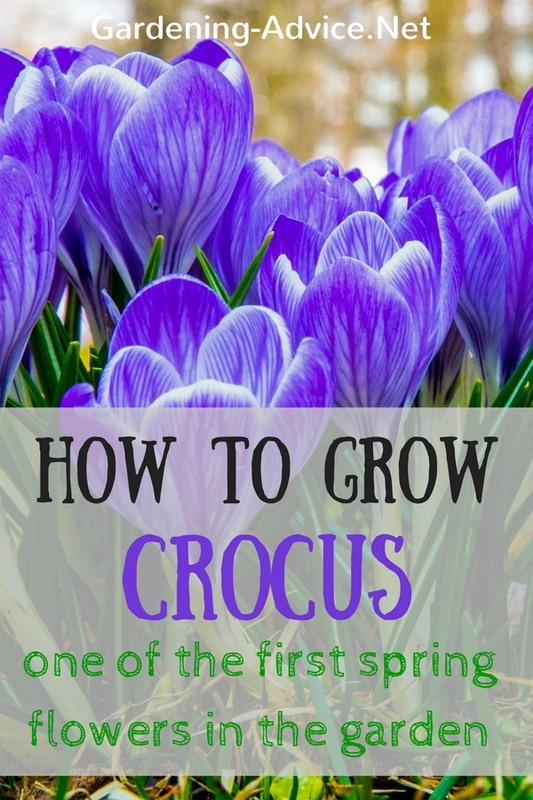 Learn how to grow crocus flowers...it is easy! For an abundance of color you can plant spring and autumn crocus varieties! Crocus produce those flowers, known to be the earliest precursors of spring, being first to bloom before anything else. 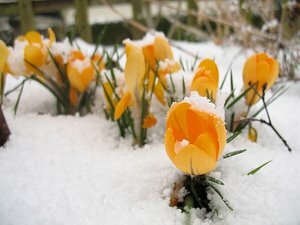 In cold winter locations, the bulbs can be seen popping up through snow to signal the coming of spring. 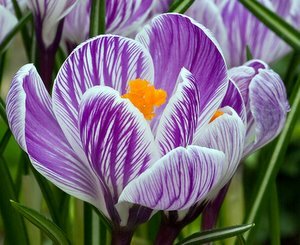 Crocus Species - Provides for a variety of unusual coloration to give your garden a new colorful look. Blooms the earliest and signals the start for spring for other flowers to follow. Crocus Hybrids - Most common and provides larger flower petals for increased size look. 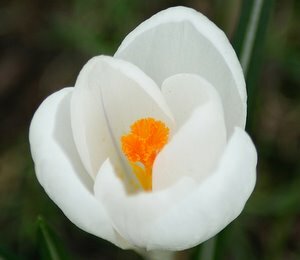 Known as selections of Crocus vernus, or 'Dutch Crocus', hybrids bloom later than the Species Crocus, but prolong the flower season when both types are combined. 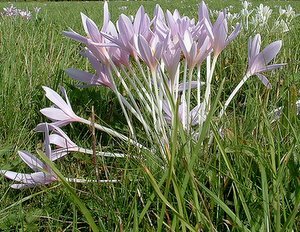 The autumn crocus (Colchicum autumnale) often gets mixed up with the real crocus. This plant is highly toxic and contains colchicin which is used as a medicinal drug. The saffron crocus (Crocus sativus) is another fall crocus with lavender purple flowers. This autumn crocus produces the expensive spice saffron. Growing saffron crocus is easy and can be done in the ground or in containers. The crocus bulbs that bloom in the fall usually ship in late summer for planting before fall comes. The flowers appear on a 3 to 5 inch stem in a goblet like shape. 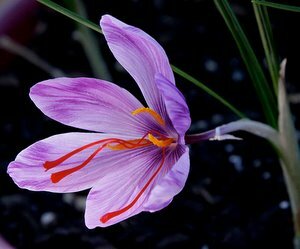 The Saffron Crocus is a great fall choice for the color and spices offered. For spring crocus types, they are usually planted in the fall before spring comes. 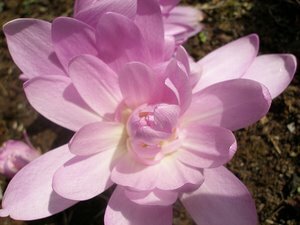 In order for crocus planting to be effective, you need to plant a larger number of crocus bulbs. This will be successful for long-term growth that comes back better every year. 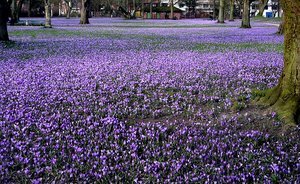 Just imagine thousands of colorful crocuses blooming on your lawn or garden. 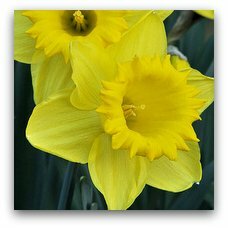 In addition, crocuses are hardy little bulbs that can be grown in pots easily indoors. 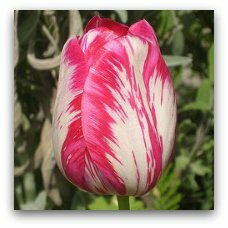 1.Choose many varieties in different colors, shapes, and bloom times to provide for a natural look. Several mixtures or packages of multiple different species and types are available to buy on line in large quantities for a rich diversity of colors. 2.Select a sunny location and prepare the soil. Dig trenches 3 inches deep and put the bulbs 3 inches apart in there. Toss on some fertilizer. 3.Be sure to have the root side down with the bottom resting firmly in the trench. 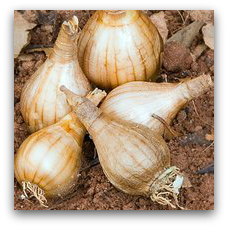 4.Cover the bulbs up with the rest of prepared soil and water thoroughly. For many people, crocus makes a wonderful welcome to their gardens in early spring to remind them of the upcoming warm weather. The crocus bloom signals a following of many other flowers to blossom as spring arrives. Crocuses work great when installed in rock gardens. 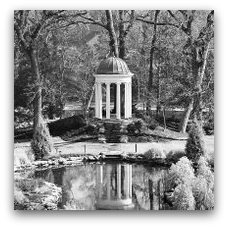 They can also be installed on your lawn around trees, borders, or dirt beds. In some areas when there's snow still on the ground, it's a relief see the crocuses blooming before anything else. If you've never had the pleasure of growing crocuses in your garden, consider planting some bulbs this fall for a pleasant surprise in the spring. They look so elegant in white!